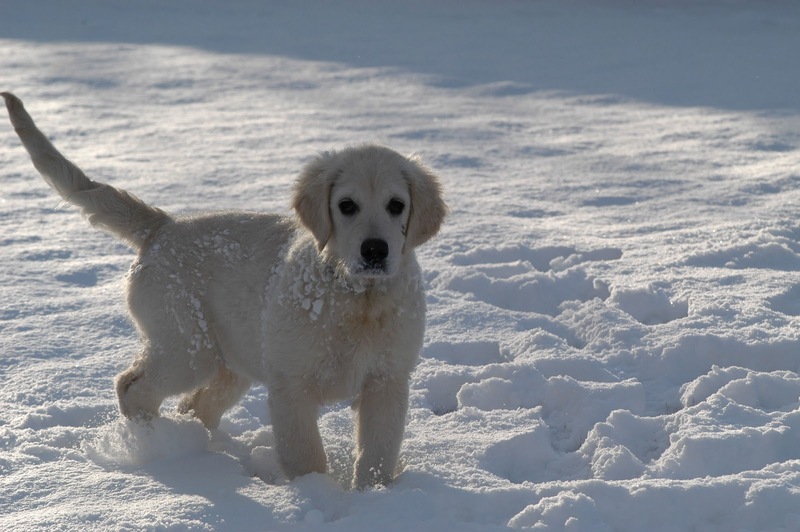 Your pet’s soft paws are always at risk of getting cuts and cracks but they are even more vulnerable during the winter season. This is due, not only to the winter elements, but also to the excess amount of chemical de-icers, sand and salt that is spread over our streets and sidewalks. Even though these agents prevent slipping, they can be extremely damaging to your pet's delicate paws. Long hair can also be a problem because it attracts irritating snow build up and should be trimmed to a reasonable length. The hair does provide some natural protection against the cold and therefore should not be cut too short. If your pet can resist the urge to kick or bite off booties, than they will help protect against the chemical de-icers, salt and sand getting in between your pets paws. They will also help prevent ice and snow build up which make walking easier. Without protective boots, the harmful chemicals, dirt and snow must be removed by either a warm paw bath or wiped with a warm, damp washcloth after every walk. Salt and chemical agents absorb moisture and have a drying effect which can cause paws to crack and become infected if not treated properly.